For your next special occasion, whether it’s your birthday, anniversary, a concert, hens/bux day, dinner party, or a night out with some friends, call Amazing Limousines and let us help you arrive in style. Amazing Limousines provide beautifully presented and elegantly appointed Chrysler 300C Stretch Limousines, Ford LTD Stretch Limousines and Chrysler 300c sedans. Whatever the occasion, we offer affordable stretch limousines hire across Melbourne. » View Our Limousine Fleet! Amazing Limousines has Melbourne’s Largest Collection of White Stretch Limousines. The latest Chrysler 300c Stretch Limousine has seats for 13 passengers, the perfect wedding car for your whole bridal party. 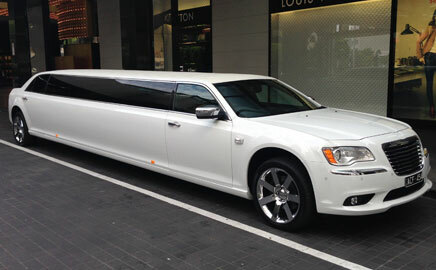 The latest White Chrysler Stretch Limousine in Melbourne has arrived! It can seat up to 13 passengers and would be the perfect wedding car for the whole bridal party. » Melbourne Wedding Cars Book Now! 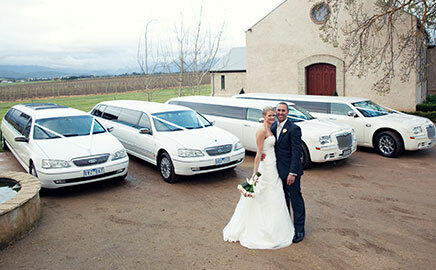 Winery Tours are a great experience for everyone, and what better way to travel than by Limousine! The Yarra Valley is less than 1 hour from Melbourne and has so much to offer including great wineries, beautiful restaurants and The Yarra Valley Chocolaterie! You can choose from our modern, yet classic and contemporary Chrysler to the more traditional Ford LTD or our Chrysler 300c limo sedan. 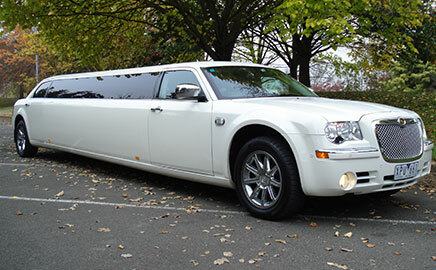 Your search for limo hire in Melbourne is over. Whether you need a wedding car, formal limousine, transport for a Yarra Valley winery tour or a birthday limo, we will definitely make your day one to remember – for limousine hire in Melbourne call Amazing Limousines today 9876 1538. Our Biggest Wedding So Far! Wedding Limo Hire… What you need to know! Amazing Limousines is a family owned and operated business that provides beautifully presented and elegantly appointed luxury limousines for hire in Melbourne at competitive prices. Our fleet of vehicles include the prestigious Chrysler 300C limo and sedan, as well as the timelessly classic Ford LTD stretch limousine. While we provide elegantly appointed vehicles, we remain committed to providing cheap, yet exceptional limo service throughout Melbourne and the greater metropolitan region. Inside all of our vehicles, you can expect to find the height of luxury. All of our vehicles come with plush leather interiors and state-of-the-art technology such as sound systems, DVD screens, iPod connectivity, quality sound systems, as well as ice chests and bars. Our specialty is organising vehicles for weddings and we offer affordable packages to make sure that your big day is one to remember, without you blowing your budget. When you hire your limo with us, we’ll also include complimentary chilled champagne, water and ice for you and your passengers to enjoy while you travel. We can also spray your flowers to make sure they stay fresh, roll out a red carpet for when you arrive at your venue, take photos of your bridal party, and provide wheel covers to protect the bridal party’s dresses. Our standout choice for the big day is our white Chrysler 300C stretch limousine that can comfortably seat up to 13 passengers. It also has a 5th bridal door to allow for easy and effortless entry and exit of the vehicle. Many bridal parties also choose to hire our white Chrysler 300C Sedan, which can seat up to four, to accompany the stretch limo. 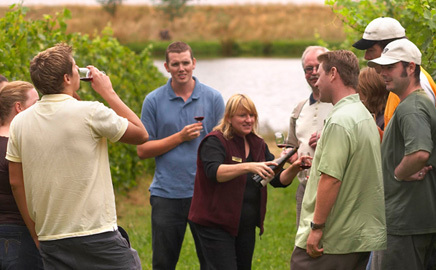 If you are looking for more of a personalised experience, we can work with you to design tours for groups of all sizes through the Yarra Valley and Mornington Peninsula wineries. Our experienced and knowledgeable chauffeurs can also provide you and your party with tips and inside knowledge of the best places to eat and stay. As part of our dedication to providing budget limo hire service for Melbourne, we offer a range of off-peak and last-minute specials for all of our vehicles. Our wedding limos are available at a discounted price during the winter months of June-August, and during the week Monday-Thursday. Give our friendly team a call on (03) 9876 1538 to discuss your dates and check our availability. You can also book an appointment to see our fleet in person. For cheap limo service in Melbourne that exceeds expectations with exceptional customer service, call Amazing Limousines today on (03) 9876 1538, and we’ll provide you with an obligation-free quote. You can also view our fleet in person. Just speak to one our friendly staff members to book an appointment.